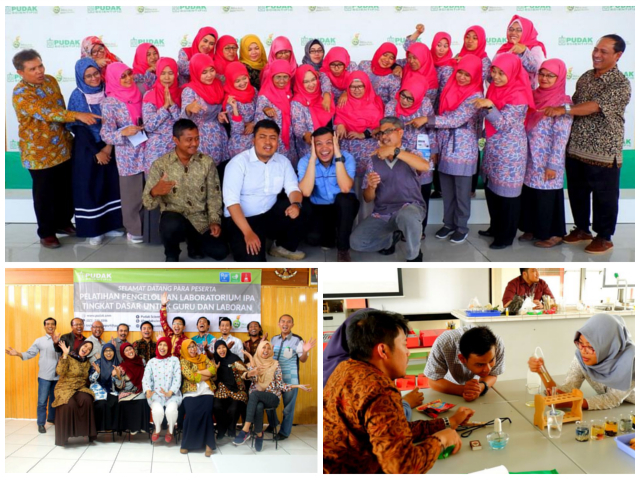 Pudak Scientific will be back to hold workshops for teachers, lab. assistants as well as general public who are involved in education. The workshop schedule of year 2019 for science field - Physics, Chemistry, Biology and Mathematics - has been arranged to be carried out through out this year. The main speakers are those who are mastering and expert in their field respectively and originated from famous institutions. This workshop activity can also to be a place for discussion and an exchange of experiences among participants, especially for those who came from various regions. This can help improve distribution equity of education quality at each institution in various regions in Indonesia. Prepare and register yourself to add competence, add insight and sharpen skills. Find out the schedule and information in this link.